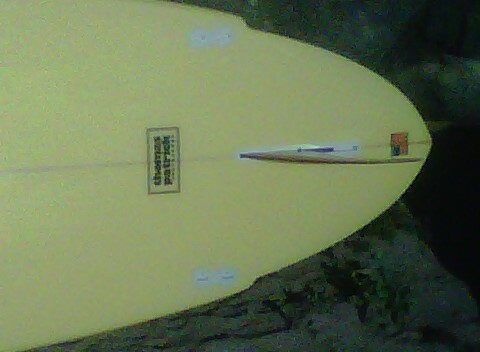 This is my first SUP. The design was a cooperative effort between Ray Lucke and me. Having glassed a large number of SUPs, including limited-class racing SUPs, Ray has a good eye for what works. Using Aku Shaper, the designed shape’s file was sent to Marko Foam who machined the 1.7lb EPS blank. After receiving the blank from Marko, I made some adjustments in the thickness of the nose and tail, and added the wings to the tail to get tail-width down to 17″. Dimensions are: 10-0 20-1/2″ x 32″ x 17″ 4-1/4″. 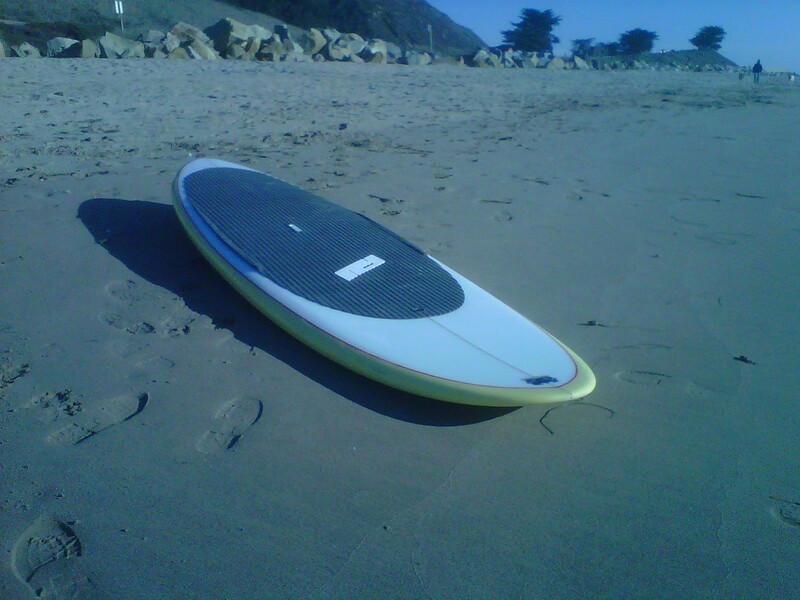 I wanted an SUP that would offer good paddling for flat-water touring, but would still be spunky enough to surf. 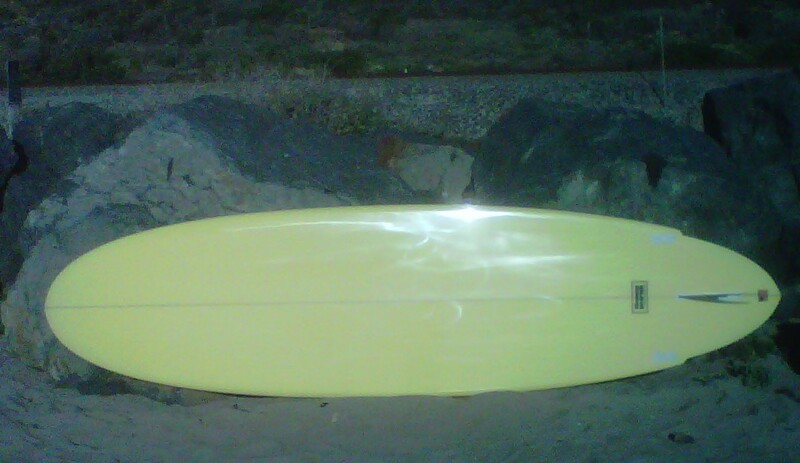 Board was air-sprayed light yellow, and glassing schedule was 6-oz E-glass + 6-oz E-glass deck and 6-oz E-glass bottom. Red pin line and gloss & polish finish completed things. 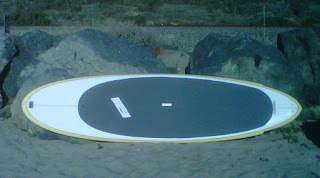 After glassing, the dual leash cups, one-way air vent and deck pad were installed. Fin set-up is 2+1, with FCS Fusion side-bite boxes. I plan to start off with a 9.5″ True Ames Faberow Flex fin, and will switch to the 7.5″ TA Wayne Rich Power fin with TA Side-bites after I get a little more comfortable surfing the board. Already I’m very impressed with the lightness (26lb) of this board despite its huge size. You’ll definitely see me building some EPS/Epoxy longboards in the near future.